Pre-packed with your choice of Praesto modern, high-flow agarose resin for cost-effective, high productivity MAb purification. HT Columns from Purolite Life Sciences streamline your separations, and are available pre-packed with any Praesto Affinity or Ion Exchange Chromatography agarose resin. Columns are available in 1 ml and 5 ml bed volumes, with a 2.5 cm bed height. 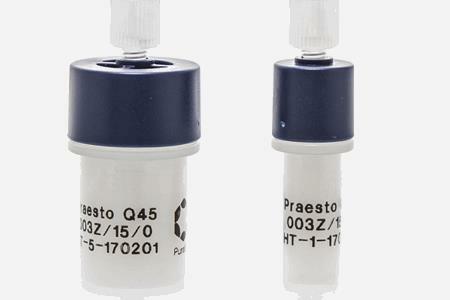 HT Columns are compatible with all commonly-used chromatography systems, due to universal 1/16" connectors. HT Columns are constructed of polypropylene, preventing interaction with biological molecules and ensuring biocompatibility.